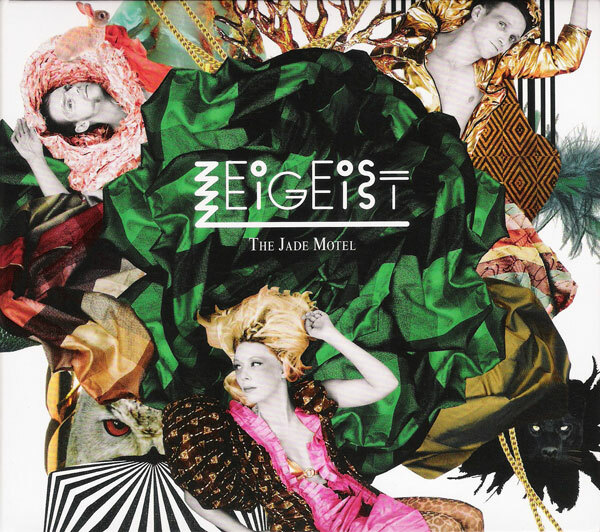 The classic synthpop album “The Jade Motel” by Swedish short-lived project Zeigeist, has just been re-released by Electro-Shock Records in Germany with two bonus tracks. These two, “Chasing Your Shadows All Around (the World)” and the beautiful “Wrecked Metal (Cello Version)”, have only been released digitally in the past. A new promo CD also includes a Kylie Minogue cover recording from the past, “Giving You up”. After years of spectacular, theatrical live performances, the art collective Zeigeist finally released their one and only album “The Jade Motel” in 2008. We gave it a nine in our review and this rather timeless synthpop masterpiece has stood the test of time. Zeigeist split up in 2009 but main musician Pearl (Per Störby) has continued to make music. He has released a solo album last year, one album as Pearl Fiction in 2012 and five albums (before and after Zeigeist) with the chamber music group New Tide Orquesta. Main vocalist Princess – Maria Nordström – has persued her career as a fashion designer.